This house is very interesting and homely for all family. Build in a medium space and having a good view. The design is adapted from pavilion house and combining with great construction. 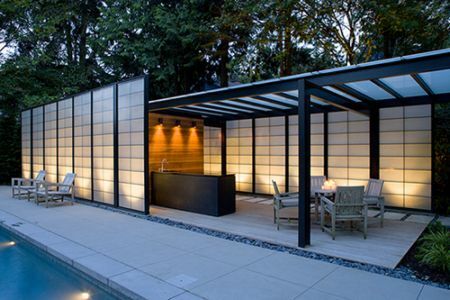 ThatвЂ™s why this pavilion very suitable for entertaining and changing an addition to the existing house with a pool. 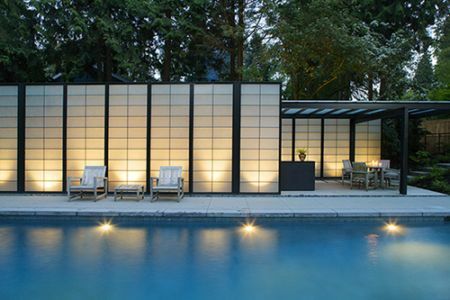 It has modern contemporary design, from natural materials and provides everything owners could possible need while they relaxing near the pool.The wall and roof planes are pushed/pulled apart and made translucent to create a sense of air and light. Different from Beach House With the Main Material of Wood Ornament , the house with pavilion swimming pool is separated for public and private spaces. 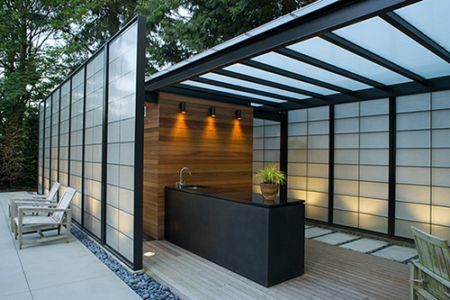 Most materials which were used are close to natural ones so the house blends with surroundings without any problems. 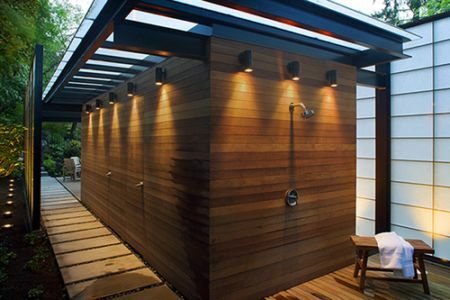 The private space is for changing and taking shower while the public one for cooking and taking a snack or just sitting near the pool hidden from the sun. 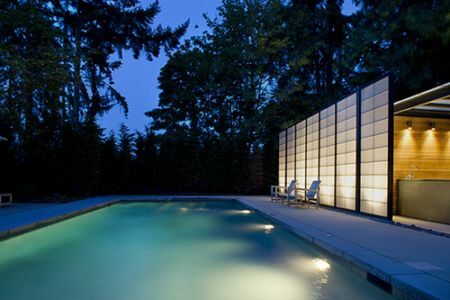 Every inch of this pavilion pool home concept can enjoying by every people. A couple can stay with a glass of lemon. Or your children can do a lot of activity and play or share.